Duetto M.T. 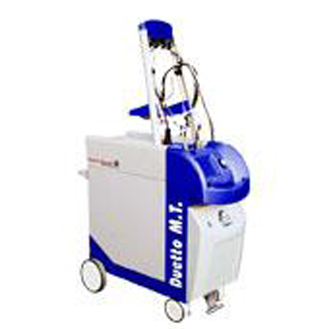 platform combines two laser wavelenghts (755 and 1064 nm) and thanks to the dual wavelengths Mixed Technology, Duetto M.T. allows the operator to select either one of the two wavelengths or to work with both of them, using a well defined sequence of pulses that can be adjusted within a wide range, according to the type of patient and hair to be treated. It is a new technology at the Elysee Montaigne Clinic efficient and safe used only by specialized doctors in hair removal.